I was at Orkney’s Ring of Brogar last night and was chatting to the various people there – those beating drums and this guy blowing fire. He let me film him. And i was reminded of the 5000 year history of people calling out to God from this location. 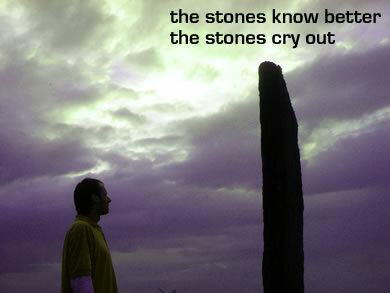 The stones saw it all. You have my permission to use this video loop under the Creative Commons agreement on this page. Is there somewhere I can download a high res version of the video loop? I am working on an arkaos synth called “Fireshow” for use in our live set and this loop would be a great addition to it, if that’s OK.
Are you sure that’s a stone?